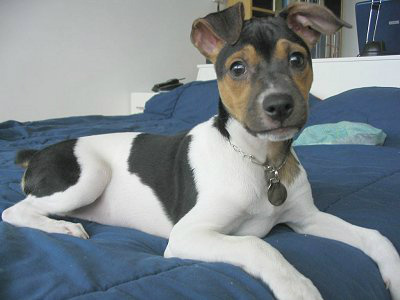 This exuberant south American breed shows it’s Jack Russell parentage in both character and looks, miniature pinschers and possibly large Chihuahuas were also used in it’s development . A lively and irascible breed, an excellent rat catcher and a noisy guard dog, the Brazilian terrier makes wonderful rural working dog that thrives on physical activity. In it’s native country, it is used either alone or in packs, for hunting vermin and game that inhabit rural ranches. The Brazilian terrier is also a good family companion (it is happy in the company of children ) as long as feisty temperament and high energy levels can be catered for the short , close coat requires little grooming .